This track was the theme tune to my Friday night. As a long haired 13 year old, I’d lie on my bed listening to Tommy Vance on the Friday Night Rock Show, drinking cheap larger recording the show on a portable cassette recorder and heading into town the next day to purchase records that he played. 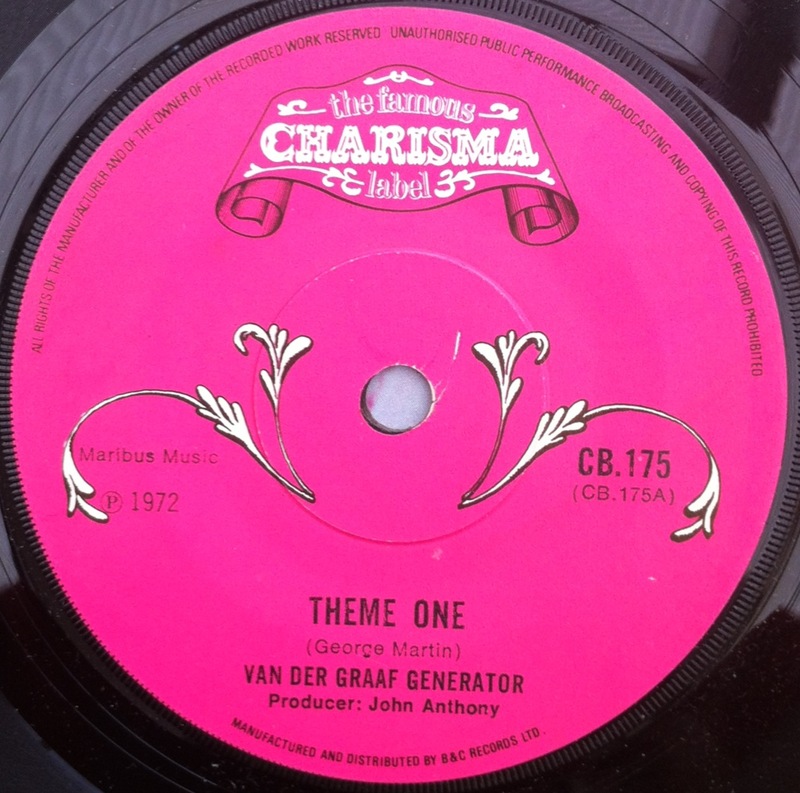 This track was written by George Martin and his version was the opening and closing tune for Radio 1, but the Generators version is the best! I hear a lot of people moaning about how music & the music industry has changed, & indeed it has, I think it’s termed as “progress”. When you look at the manufactured bands being churned out by reality shows, this really is no new concept & it maybe surprising to know that the 45 I’ve gone for today, is a manufactured band for the 60’s. Paul A. Rothchild & Frazier Mohawk had already been instrumental in helping form Buffalo Springfield, so they decided to put another group together, & so Rhinoceros was born. 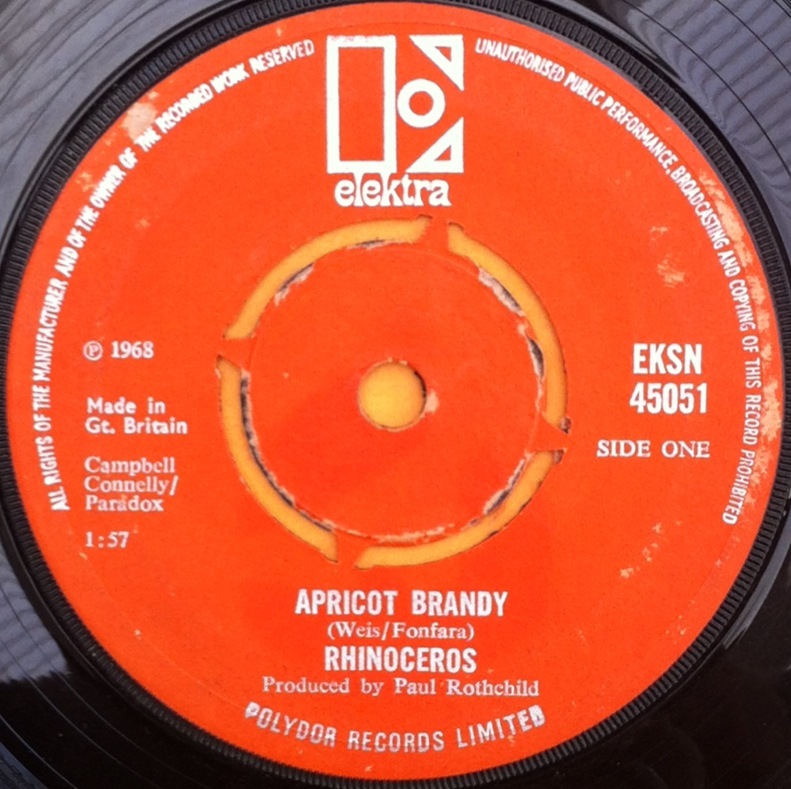 “Apricot Brandy” is a great piece of hard bluesy rock, with heavy drums, a dirty fuzz guitar riff & some cool hammond abuse thrown in for good measure, this was apparently used as a BBC Radio theme tune. Let’s go for some 70’s prog rock via France. 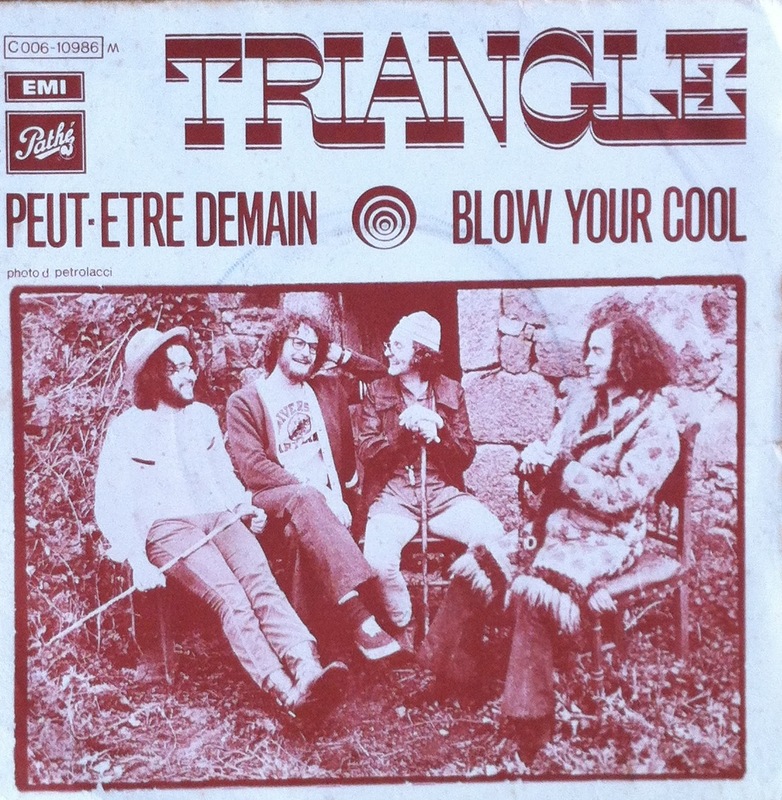 Triangle were a French 4 piece band operating from 1967-74, & sound like a dirty funky version of Jethro Tull, which in my mind is a good thing, as I’ve got a lot of time for JT. The opening guitar riff is great, bolstered by the bass and sax overlay, all to a heavy cowbell backbeat. The B-Side “Blow Your Cool” is also worth checking out.